On November 3 in 1925 Calla Curman submitted the parts of Stångehuvud that she bit by bit had bought during the years 1916 to 1920 as a gift to the Royal Swedish Academy of Sciences. 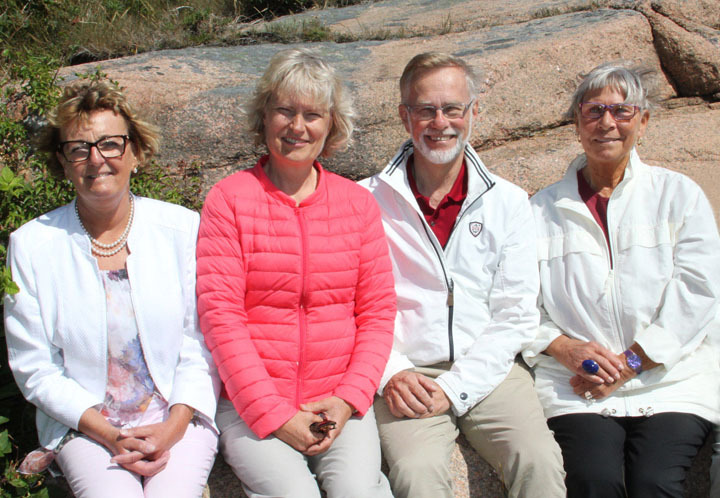 At the same time she established "Carl och Calla Curmans stiftelse" (Carl and Calla Curman foundation), which will keep a "watchful eye" over Stångehuvud and determine what care and maintenance actions to be taken. The area will, according to the desire of Mrs Curman, as a natural monument forever be preserved. Particular emphasis will be laid on the preservation of the cliffs. Göran K Hansson, chairman, appointed by the Royal Swedish Academy of Sciences. Katarina Bengtson Ekström, appointed by the Curman family. Agneta Blomqvist,, appointed by the community of Lysekil.